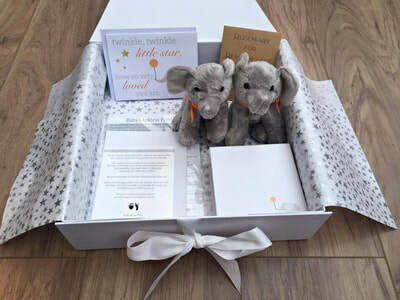 Nothing replaces being able to leave hospital with your beautiful baby, but we hope that our boxes will provide a small amount of comfort and hope to parents, and let them know that they are not alone. In 2012, after our son Aidan died, we began donating our Memory Boxes to Airedale Hospital in West Yorkshire. The introduction of Memory Boxes meant that the dedicated, wonderfully caring midwives were able to provide newly bereaved parents with a keepsake box that contained everything they needed to make memories with their baby. You can view our original memory boxes here. In 2016, after speaking to many families to gain feedback and suggestions, we began working on a new Memory Box Design. 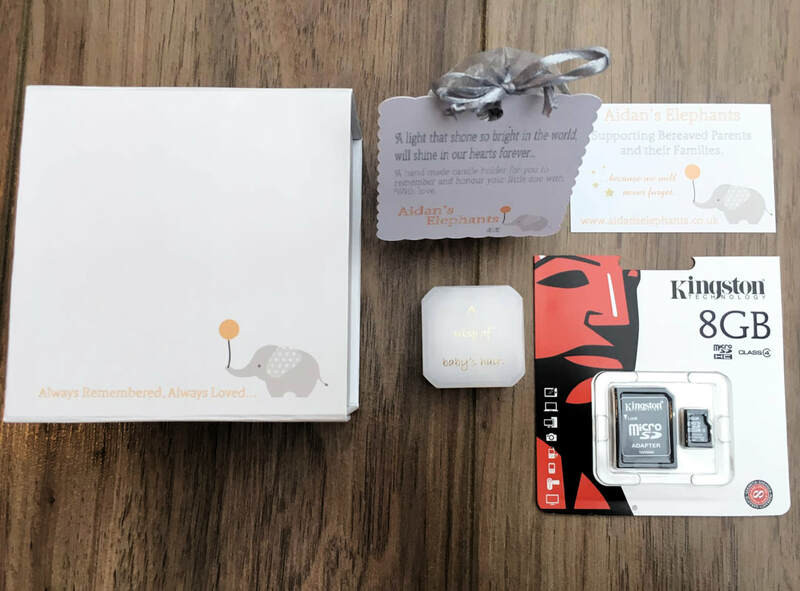 We wanted to move over to a gender-neutral design, which was simple but beautiful and ensured that every parent received a memory boxes that was relevant to them and their baby, no matter how early their loss. In 2017, after supplying Airedale NHS Foundation Trust with our original boxes for five years, we delivered a batch of 100 Memory Boxes in our new design to Airedale Hospital. 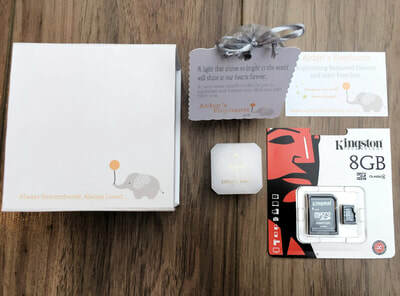 The Design and Content of Our Memory Boxes. Our Memory Boxes are gender-neutral, non-religious and inclusive for every family who has lost a child, no matter their gestation or age. 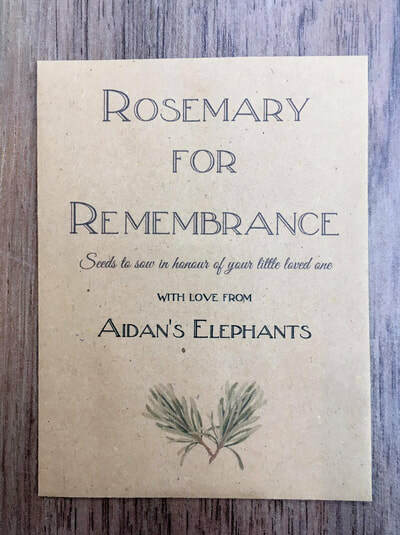 Each box features the words "Always Remembered, Always Loved...", across the top, along with a little Aidan's Elephant and orange balloon. The boxes have a secure magnetic closure, which is secured with a white ribbon. We provide individual cardboard packaging for each box, which is removed when given to families but keeps the box safe and pristine during storage within the hospital. 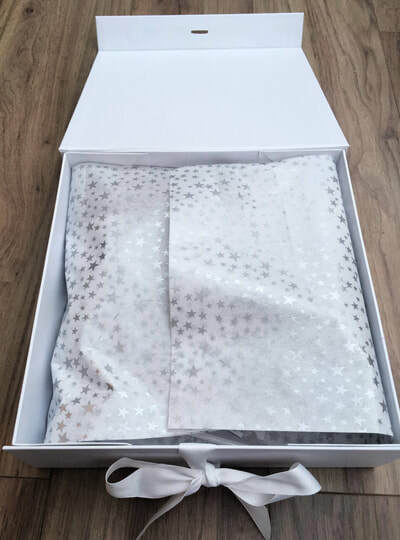 We put every box together ourselves and ensure that it is as perfect as you and your baby deserve. We carefully line every box with tissue paper to protect it's current and future contents. 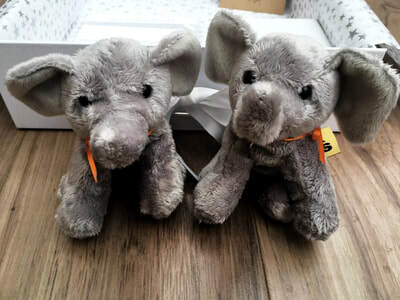 Two identical Aidan's Elephants. One for the family to give to their baby, and one for the family to take home - a symbol of the everlasting love and bond between you and your baby. 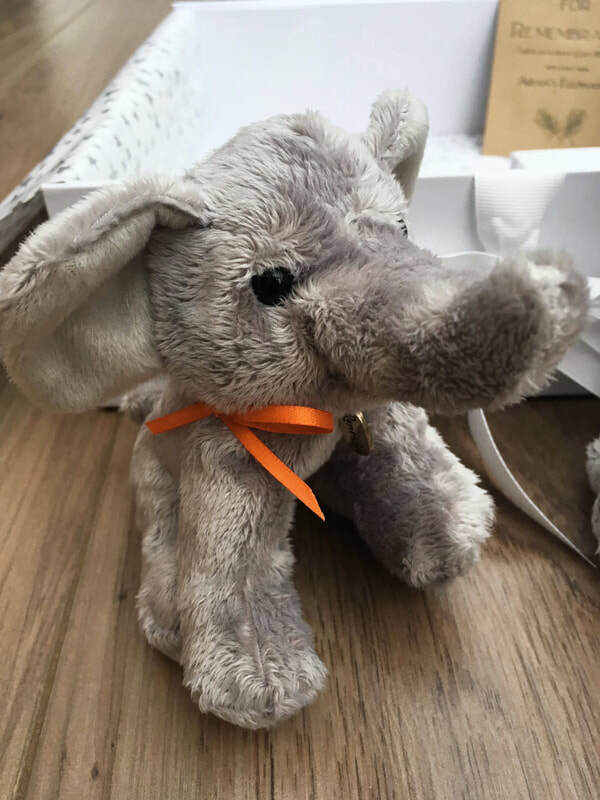 Each elephant has an orange ribbon around it’s neck, with a metal charm saying ‘remember’. A small card with Aidan's hand and footprint on and a message from us to the baby's parents. 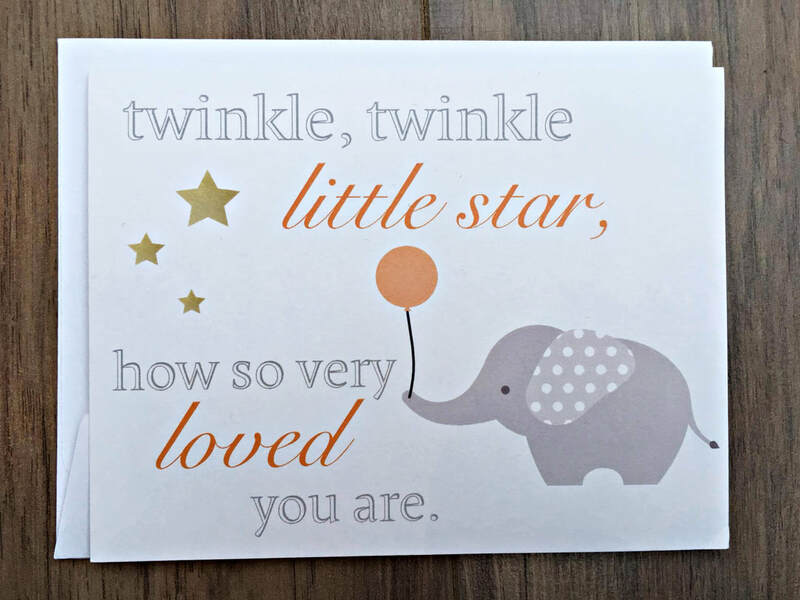 The card also contains our website address, where parents can find helpful information and access a list of relevant organisations/charities that can help to support them. 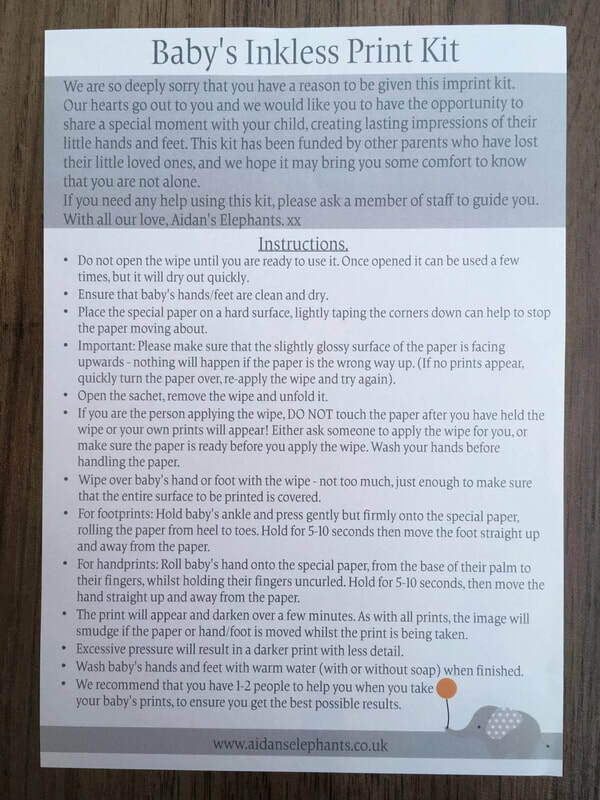 An ink-less wipe kit, which contains two pieces of specially treated paper, to allow parents of hospital staff to capture baby’s hand and footprints. A card, so the family can write a poem, letter or message to their baby. 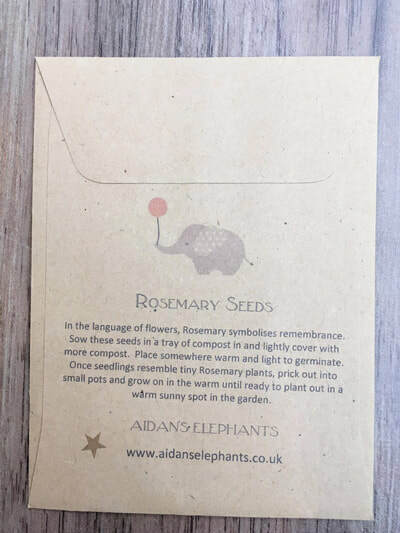 A printed pack of 'Rosemary for Remembrance' seeds which parents/families can plant in memory of their baby. A 5x7" canvas board, which parents can use however they wish. We suggest that they are used (with the help of Airedale staff, who have coloured ink pads, paint pads, pens and embellishments to use on the boards) to create a canvas of baby's fingerprints, along with those of the parents and other family members. 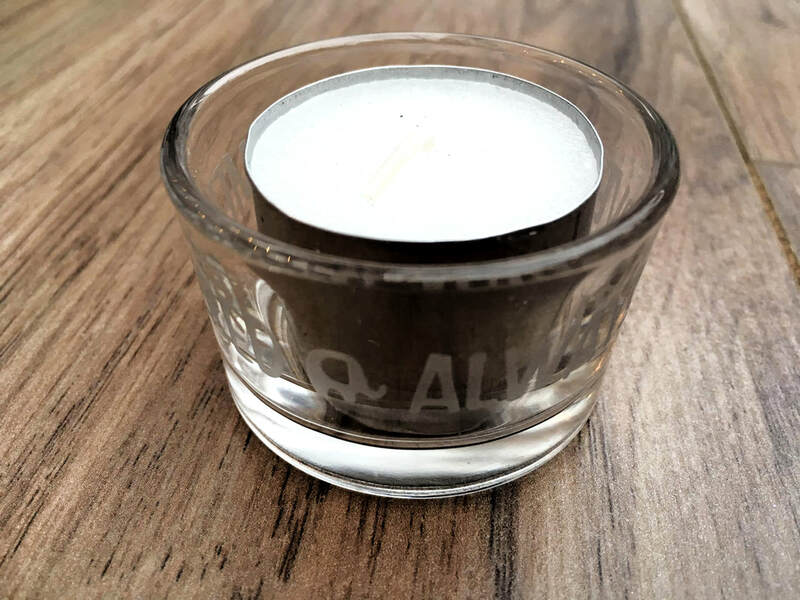 A beautiful sandblasted glass candle holder, with the words 'Always Remembered, Always Loved' on, a little elephant and a star. There is an unscented tealight included with the candle holder, so that the family can light a candle for their baby on a special occasion or whenever they wish. 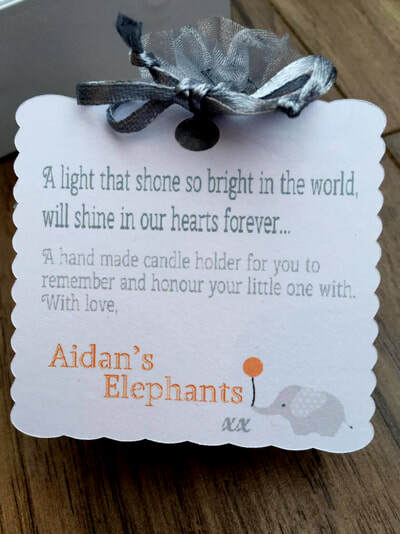 A note is attached to the candle holder, which parents can choose to keep in their baby's Memory Box. 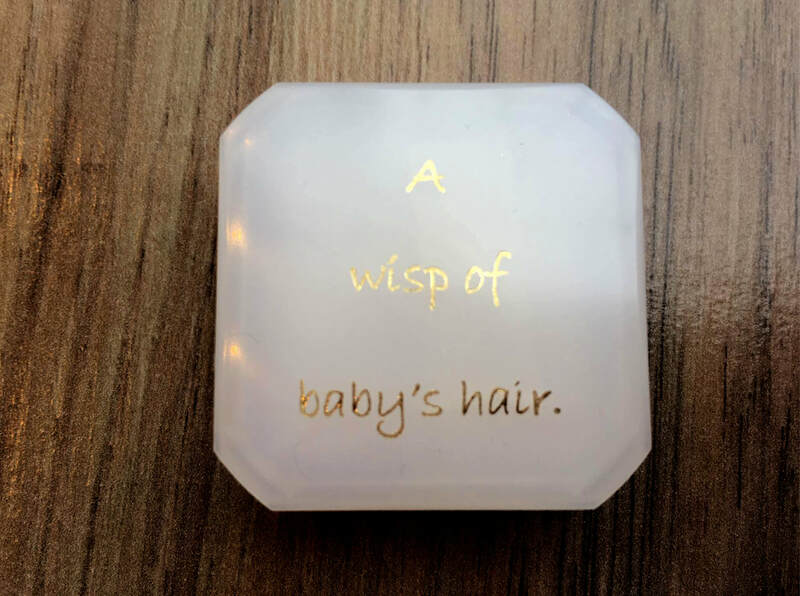 A curl box, to keep a little lock of baby's hair inside. A 64GB SD card. These have been very generously donated to us by TESCO. The large amount of storage space on the SD cards allows parents to store videos along with photographs, and gives them the option to add other photographs/videos (perhaps of things that remind them of their baby, fundraising events they have done, birthday events etc) in years to come. A contact details card for Aidan's Elephants, so parents can find support immediately or whenever they are ready to do so. 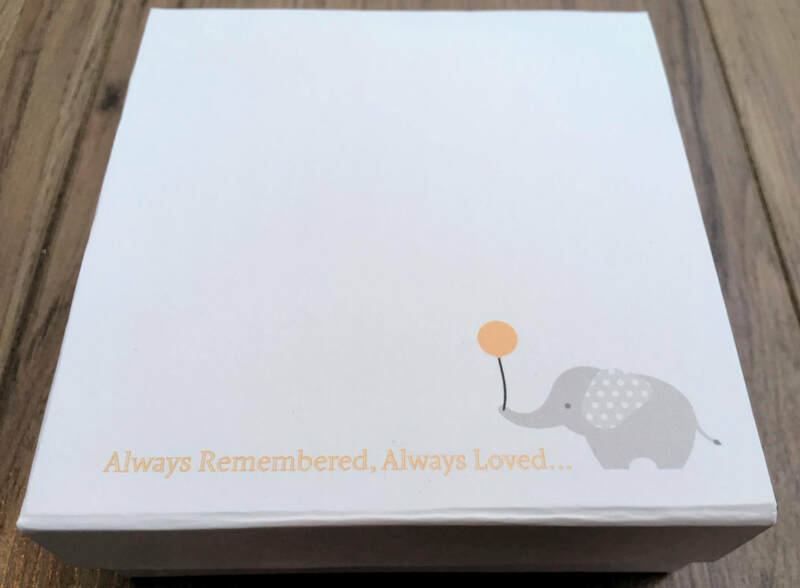 We also supply items which are stored outside of our Memory Boxes (as they are not appropriate for every baby and every family). 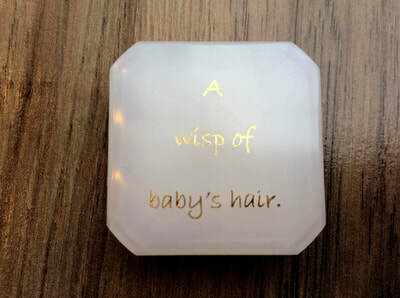 These items have been designed to be given by midwives to parents, with their Memory Box, when it is appropriate to do so. 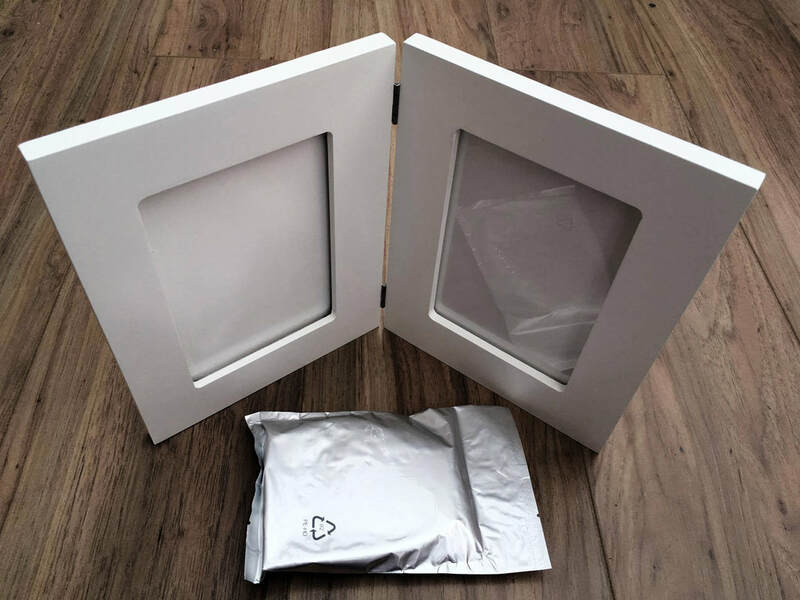 A Clay Imprint kit, which contains a beautiful frame that holds baby's clay hand and footprints on one side, and a photograph on the other. (This may not be applicable for some babies, who may be too small or too fragile to make impressions in the clay). A Recognition of Life Certificate. 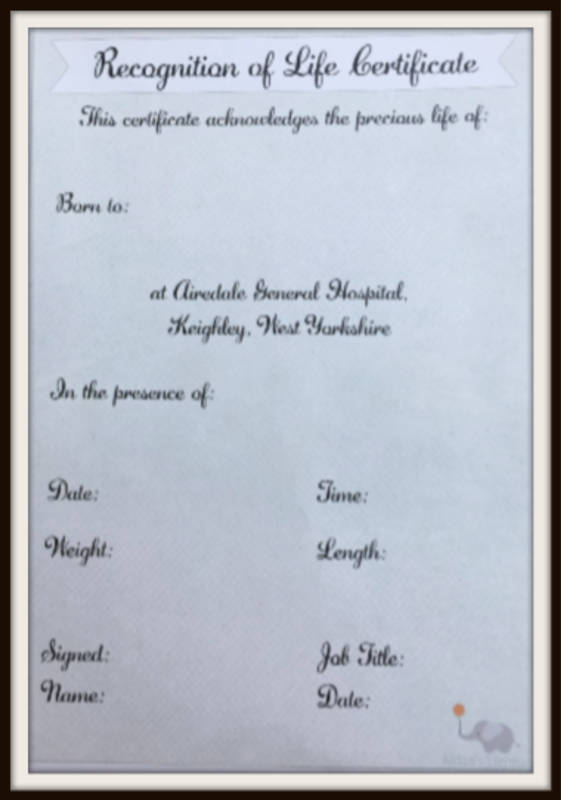 This is provided for babies who died before 24 completed weeks of pregnancy and are currently, sadly, unable to have their birth registered. It can also be provided for babies who are entitled to a birth certificate, if parents would like a Recognition of Life Certificate as well. A copy of the children's story book, "No Matter What" by Debi Gliori. Reading a story to their child is something that many parents have pictured doing, for a long time and we want to ensure that bereaved parents have every opportunity possible to create special memories with their baby. 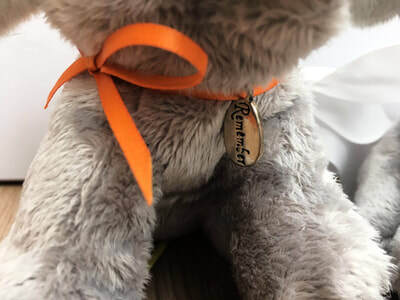 The books have a personalisation sticker on them, so that parents can write their baby's name on their book, and keep it as a precious memento of the story they shared together. Our Memory Boxes cost £30 each to put together, and we donate our time in making them. 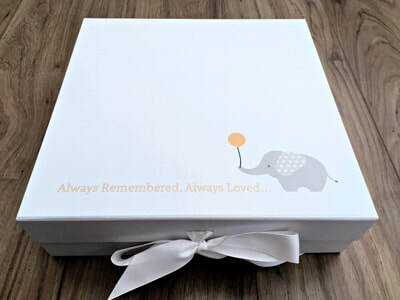 If you would like to donate a Memory Box for another family you can do so here. If you have received one of our Memory Boxes and would like to share what it means to you, you can do so here.